McKibbins Daily | "I can explain it to you; I cant comprehend it for you." "I can explain it to you; I cant comprehend it for you." Anyone that has to work with LUNs and Datastores with VMware should know the term. You have a 2TB datastore that has a single VM with two drives. A C: drive that is 50GB and an F: drive that is 150GB. You are using thick provisioning on the VM side, but thin on the SAN side. The SAN says that you are currently using 200GB of space. Easy. Now, you create a snapshot before applying patches. That snapshot is left alone for a few days, and grows to about 50GB in size. Check the SAN – it says that you are currently using 250GB of space. Delete that snapshot and presto! What does the SAN say you are using now? Wait! How is that possible? We just deleted that snapshot data, so we should be back to 200GB in use. This excess space is considered Phantom Space. It’s no longer being used by VMware, but the SAN still sees it and holds on to that space. The same thing happens if you create a new VMDK file and then later delete it. How can you reclaim this Phantom Space? Ask most SAN Engineers and they’ll tell you that you have to migrate anything remaining on the datastore to a new one and delete the old datastore. Thats not so easy if you have to move lots of VMs. Plus, the next time you create a new snapshot, your right back where you started with excessive phantom space. What to do? 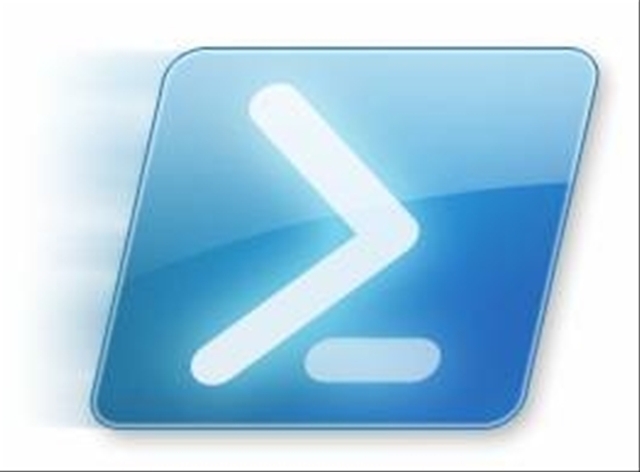 Powershell to rescue! The snippet of code above will perform a SCSI UNMAP (old name) or VMFS UNMAP (new name) on a particular datastore. This is a task that should be scheduled and run multiple times per datastore to see any real benefit. $Size is how big of a block to work with – This is usually 200, 400, 800 or 1600. The bigger the block size, the more IOPS will be committed to the process. Be careful when using in a production environment and be sure to test! $BeforeUsed is simply the amount of space the SAN says is in use before the VMFS UnMap command is run. $AfterUsed is simply the amount of space the SAN says is in use after the command completes. $lun and $vol are CASE Sensitive! If there is any interest, I’ll add a new post with some samples of how to use this process in a scheduled task. 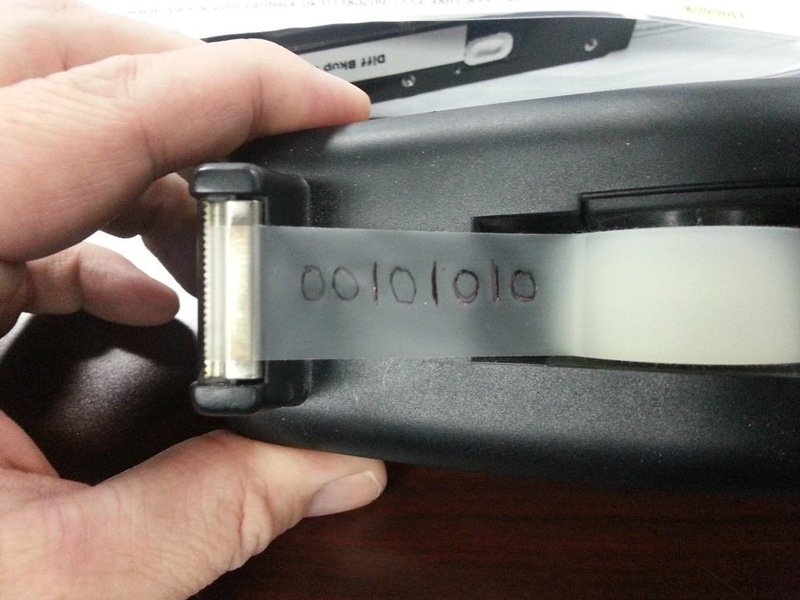 A friend sent me a picture of his new tape backup device. I wrote a previous entry about the ability to generate speech from text. This time, I provide a semi-practical use for doing so. In this example, we are scanning our outlook 2010 inbox folder for new emails. If one is found, we use the SAPI.SPVoice object to playback the FROM and SUBJECT fields. ###  alerts when a new message is delivered - just for fun! $s2 = "Subject: " + $_.Subject + ("`n") -replace "RE: ", "Reply, "
$s2 = $s2 -replace "FW: ", "Forwarded Message, "
$d3 = "       MSG : [" + $b +"] LC: (" +$a +")"
I’ve included some minor remarks in the script to help understand the flow. If needed, I can provide a PART 3 that breaks it down further at a later date. So there you have it! A practical use for Text to Speech via Powershell that is quick and easy! This object lets you generate speech from text and is very easy to use. I’ve included a few samples here to show just how easy! In this example, we call our simple function with the text we want to hear. We also have an optional switch parameter called -SLOW that will change the speed of the speech, just for fun. This example is using a ComObject to generate the speech. Say-Text1 "Testing One, Two, Three!" In the next example, we will use .NET to create the speech. We again call our function with the text we want to hear. By default, we have the speech running as a synchronous command. We added another optional switch parameter for this one, however, if you want the command to run asynchronously instead (-ASYNC). NOTE: When using the -ASYNC parameter, if you have multiple speech statements right after each other, the speech will be ‘clobbered’, as if two or more people were trying to speak at exactly the same time. Say-Text2 "Testing Six, Seven and eight!" $voice = new-object -ComObject "SAPI.SPVoice"
# Then we use the new object to speak! This command is spoken synchronously. # And this minor change reads in and speaks a text file asynchronously. So there you have it! Text to Speech via Powershell is quick and easy! One of the laptops that I regularly use is a MacBook Pro. It runs the latest and greatest OS X version along with BootCamp and Windows 7. For those of you unfamiliar with BootCamp, it basically just allows you to dual-boot your Mac laptop and switch between OS X or Windows. Since Windows 8 has been officially released, I decided to rebuild my MacBook Pro from scratch and use BootCamp to install Windows 8. If I liked it, I would keep it. If not, I would redo BootCamp and put Windows 7 back in place. However, since the previous install of Windows 7 was a digital download and I seem to have misplaced my email receipt that contained my Windows Product Key, if I decided to switch back to Windows 7, I would not be able to activate it without some difficulties. I did some searching online for a tool to identify your current product key and found Magical Jelly Bean. It’s an app that you install in Windows and it reveals your key. Pretty simple. But what if you don’t have access to the internet or you simply don’t want to install an unknown app just to get your key?